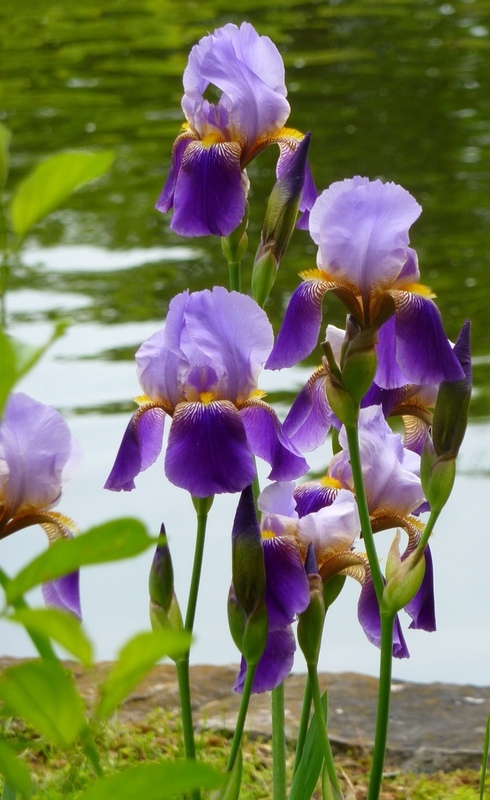 Hi Wendy: Missed your last few posts but just read this lovely iris info. Our iris here in Seattle (not sure at all of latin names) are long gone and i whisked some away in the freezer..will keep hold of your post here for reference..thanks! not only do we not need to say ‘eco dye’…it’s no longer legally permitted [at least here in Australia] as somebody has cheekily trade-marked it and named their product ‘eco-dye’ which would now imply that anything that is referred to as being ‘eco-dyed’ owes its colour to that product. sigh. let’s just get on with enjoying natures colours, preferably without toxic mordants. those iris colours are always a joy and have you noticed the delightful fragrance that accompanies them? My comment expressed my thinking that medieval artists did not need to use the term “eco” if they were referring to the only kinds of colour available to them, i.e., natural plant colours…however, if they had used the term, they would perhaps have been abusing it from our contemporary perspective since poisonous substances galore formed part of their colour inventory. 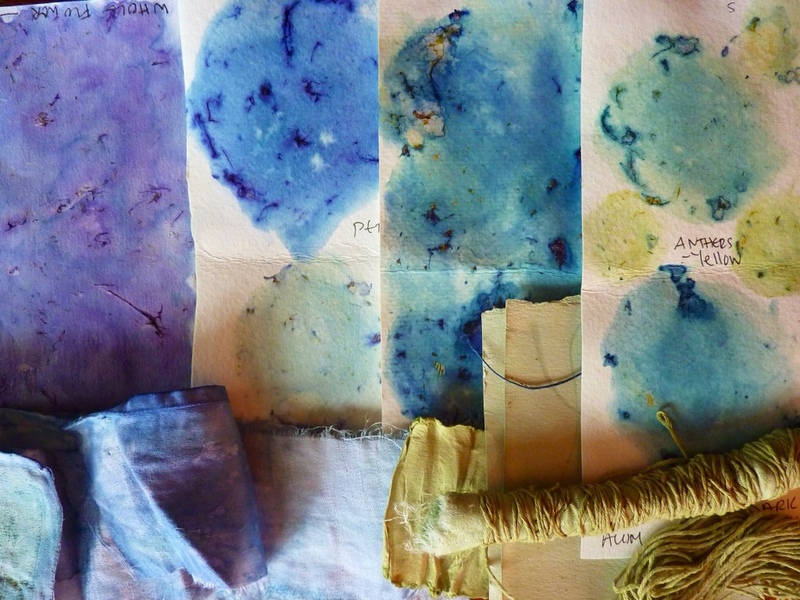 As you rightly suggest, the “eco” in eco dye or eco print can refer to more than natural dyes per se – it also embraces the notion of using non toxic adjuncts… Wondering if we should also use the term to refer to avoiding the use of toxic plants? I have to day that my research has turned up comments about iris being poisonous! …As for trademark matters: that is the stuff of commerce, not the stuff of scholarship and the free exchange of knowledge, thus Dr. Casselman, having developed her terminology in an academic (university) context, could likely not have trademarked her term “eco dye” anyway. But there other kinds of IP protections in place to safeguard her scholarly research. something like [on average] 80% of the denizens of suburban gardens turn out to be at least slightly toxic when we start looking closely. but sometimes it can smell delightful [ie lily of the valley] and be toxic too. avoiding breathing the vapours or licking the fingers is a good plan. ” Natural – so it must be good for you” -definitely NOT a motto to follow slavishly. The perfume from a large bouquet of Bearded Iris can quite overpowering in a closed room. One wonders if “iris breathing” is really quite as health-giving as the Japanese tradition of “tree breathing”. Love it! What beautiful colours. Irises are one of my favourite flowers, and I feel that I’d have a hard time picking them fresh to dye with. It’s the same reason why I’ve never dyed with Queen Anne’s lace even though I’ve loads of it growing in my yard. Just don’t have the heart to pick the blooms. You suggest that dye can be obtained from the faded blooms, too. Have you tried it? Hurray! I’m glad to hear it and will definitely give that a try next year. I’m afraid the irises are already finished for the season here. Hope you get to try them, arlee. 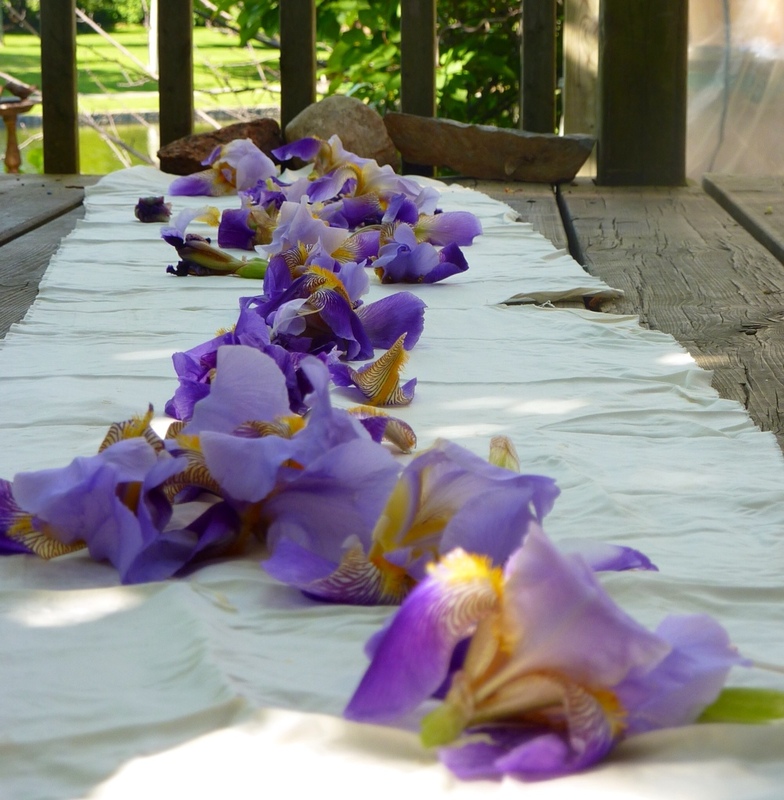 I have been using my black iris to get purple for a number of years now but so far only laying a wet flower (from rain or watering) on my paper has given me that color – anything else (like soaking in water for example) gives me brown so thank you for a few new ideas on what to try. So far the color has not faded over the years (I use the papers for ATC’s). Thank you, Ms Weed Wednesday. I love iris!